Roll up, roll up! Another fairground favourite has been brought to life for the arcades! 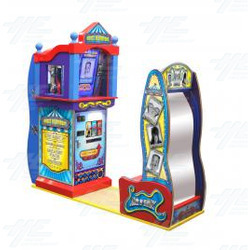 The House of Mirrors photo arcade machine brings all the fun of those crazy mirrors to your location. Replicate the whacky looks with the house of mirrors, with three styles to choose from, as well as giving players a fabulous print out of their whacky face to take home with them!